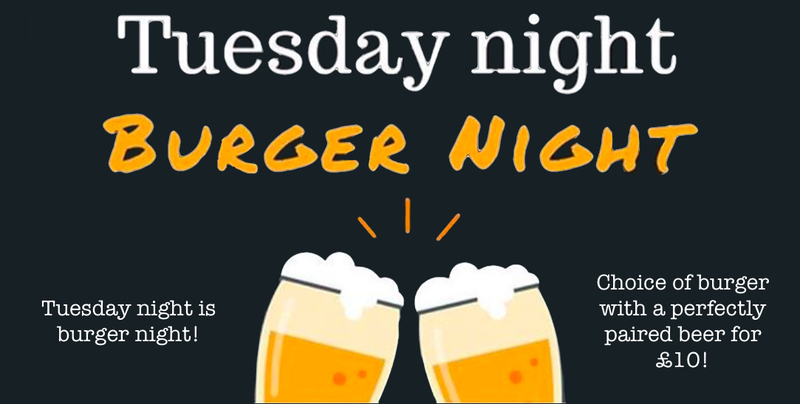 « Tuesday night Burger night! 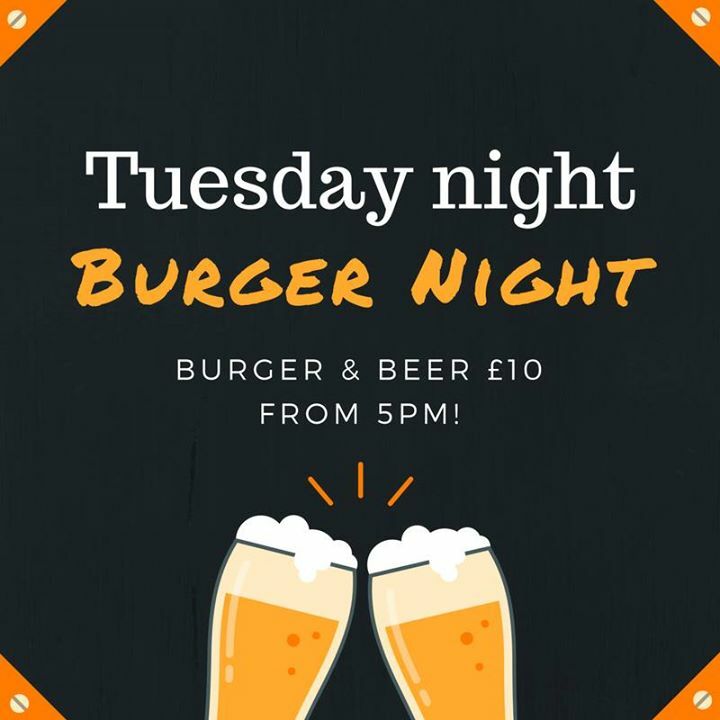 Tuesday night is burger night! 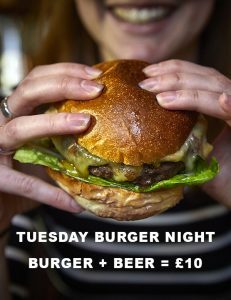 Choice of burger with a perfectly paired beer for £10!